These last years we all got bombed with the most beautiful snapshots from all over the world thanks to Instagram. As a vivid IG follower I was blown away by the colors and the antique architectural beauties of Marrakech. As I was hoplessly browsing for cheap holidays I opted for Marrakech. I was highly influenced by those beautiful photos I knew from social media and I was really intrigued by the arabic cuisine, as I love cooking with their traditional spices at home. My girlfriend was traveling across Iceland that time, so I thought spending a couple of days in Morocco and planning on visiting the sahara desert would be a beautiful experience. To cut a long story short, this trip to Morocco hadn’t nearly fulfilled my expectations. The flight-ticket was a bargain, as I flew from Frankfurt-Hahn to Marrakech for less than 130 Euros (a two-way-ticket). My beautiful riad “Rodamon Riad Marrakech”cost around 100 Euro for 6 nights. Sounds like cheap but great holidays. As soon as I landed in Morocco the frustrations began at the immigration desk. It took more than an hour to get my passport stamped. Due to school holidays all over Europe, the queue lasted forever. And I guess I wasn’t the only one with a grumpy face in line. Same case with the queue at the ATM. After two everlasting hours I made it out of the airport, where the first struggles came into play. The cabs. Just nearby the taxi area was a sign with the different taxi-rates priced in dirham (moroccan currency). The ride to the city was listed as 110 dirham which would be around 10 euro / 12 us$. I asked the first taxi driver how much it would cost to take me to the city-center “Oh you don’t know the rates? Well it costs 200 dirham (20 euro) taxes all included". Obviously I didn’t agree with the price as the big sign mentioned the 110 dirham. I asked a second driver “ohh that will be 200 dirham because of the taxes”. I went passed to a third driver. Same story…. 200 dirham. As it was my first time in Morocco I agreed to pay 200 dirham, and of course I added another 20 dirham as a tip at the final destination, just for being the gentle travel who I am. On my last day I took a taxi to make it back to the airport, asked the same question and all I got as a satisfying answer “ohhh my brother, of course same price as always, city center to the airport will be 100 dirham”. So be cautious about the cab-drivers. The lovely gentleman who drove me back explained that it would be better walking 5-10 minutes to the closest parking lot next to the departure hall, because that’s the spot where the locals hop on a cab for a much lower price. As my riad (traditional moroccan hotel) was located inside Medina, the old-town of the city, the driver dropped me at one of the closest gates nearby the riad. From that point on you gotta walk through the cute small alleys to your hotel. At first sight I loved the tiny streets that reminded me of a medieval arabic maze. I passed the security guard of my riad and went for the check-in. Actually my riad was a hostel, and I had to share the dorm-room with 5 other guests. The facilities easily looked like the one of 4 star hotel. I couldn’t wait to start discovering the neighbourhood. Either the “grande place” or the “tanneries”. After walking away from the hotel, during the first 5 minutes, the city-hawks made their “first attack”. I was asked by a local if I needed directions to the “Jemaa el-Fnaa” square. I denied the question as I wanted to stroll randomly through the streets and shoot a couple of photos. 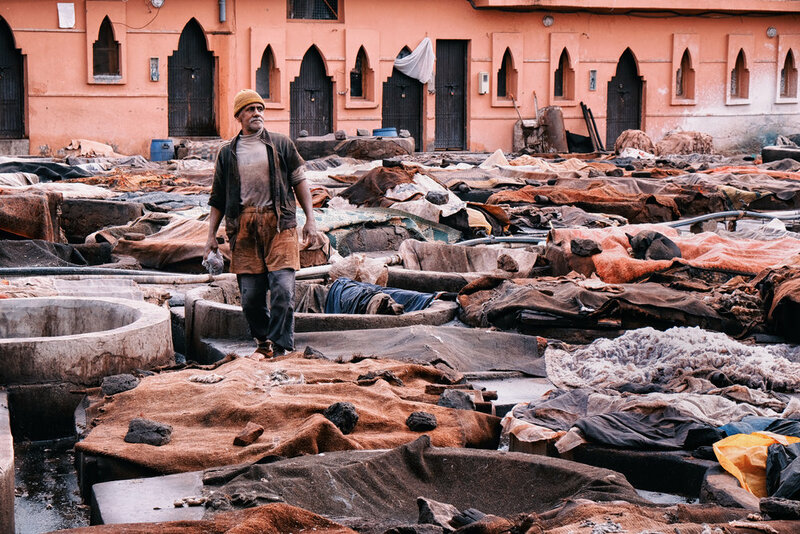 Just because the local dude seemed to be pretty nice I asked for the “tanneries”, the place where moroccans color the leathers in a traditional and natural way. Obviously one of his friends was walking towards the “tanneries” and asked me to follow him. I instantly informed him that I wasn’t looking for a guide and that I wouldn’t pay a dime for his help. "No no… free.. no money”. As soon as we made it the gate of the tanneries another local jumped in and introduced himself as the security guard who would show me around. Of course it wasn’t a security guard, just another local who was looking to make some pocket-money. The whole tour with a minimum of explainations lasted about 5 minutes. Everywhere was a sign with “no photo” on it. At the end of the mini-tour the so-called guard brought me to a leather shop very nearby and I gently refused his offer, telling him I wouldn’t be interested in buying leather products. That was the point where I got served my bill on a plate. I didn’t want to be rude and offered him 50 dirham (5 euro) . He asked for 100 dirham, so I insisted in a gentle way “50 d or nothing”. He grabbed the 50 dirham note and left. At that point the first guy jumped in, the one who walked me to the gate…and asked money as well. He wanted 100 dirham as well. Suddenly I was surrounded by 3 moroccans, all of them asking for money. I started giving them bad names and pulled out a 50 dirham bill to avoid any trouble. They weren’t happy at all, as it was far less than they demanded. I read about the same story just before leaving my riad on google reviews. And guess what, it all happened to me exact the same way. So expect to be asked every half an hour “are you looking for the grande-place or the tanneries” ? Well on my first day I was strolling through the old town trying to get some good snaps of the locals or the buildings. After a couple of hours I noticed that there aren’t any impressive buildings in the city center. There are a handful of beautiful mosques in and around the city, however as a non-muslim visitor access will be denied. Outside of the buildings you will see signs with “non-muslims not allowed”. Bummer! The “Jemaa el-Fnaa” square looks really dull during day-time. It’s far less crowded, and packed with beggars, snake charmers, cripples who are begging for money, a bunch of syrian families sitting on the pavement with their kids and asking for money as well… The restaurants around the main square aren’t that great. I had lunch and dinner at two different restaurants and was kinda disappointed by their dishes. As I was trying to get some descente photographs of moroccan people, the locals started screaming “no photos, no photos!” and trying to hide their faces with one of their hands. It seemed to be super impolite taking photos of people. And it wasn’t about taking portraits photos, just randomly shooting. 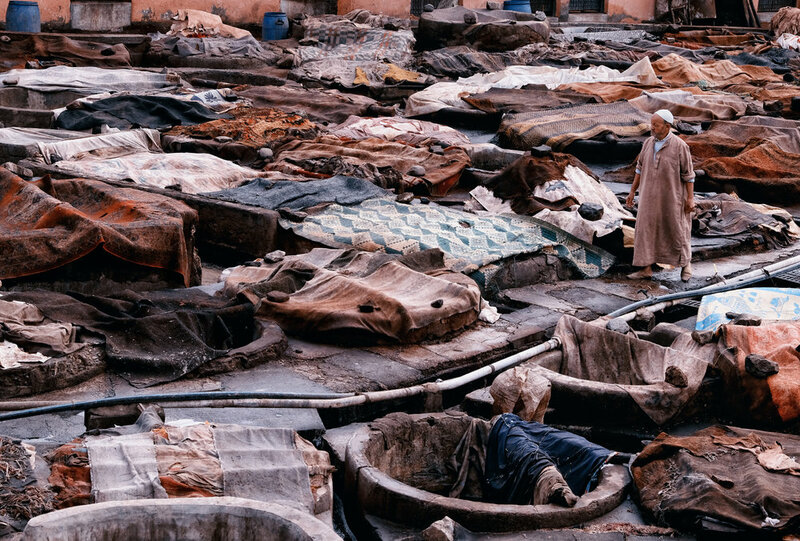 Marrakech is packed with “souks”, traditional arabic markets, which can be compared with streetmarkets in asia. The souks are packed with stalls that sell all kind of ceramics, spices, clothes and local products. The souks open early in the morning and close late at night. 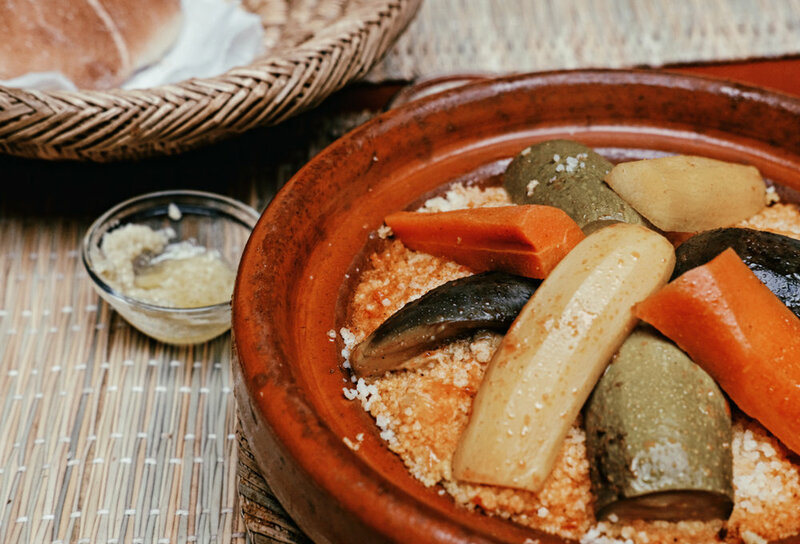 You can spend hours at the “souks” digging for antique collector pieces or buying “tajines” for your friends and family. On my second day I went to visit the popular “Majorelle Gardens” designed by Yves Saint Laurent. You had to pay 7 or 8 euro for the entrance to the garden. The garden was beautiful of course, however it was pretty small and paaaaaaacked with too many french people. The park was filled up with palm trees and all kinds of cacti (cactuses). There was one eye-catching blue building in the center of the park, where all the visitor were fighting each other to take a photo next to a blue wall covered with a shiny yellow window frame. After having seen too many beautiful public parks in Delhi (India) I wasn’t impressed by the “Majorelle Gardens”. It was just a tourist attraction as no local would spend time in a tiny park overcrowded with tourists. No peaceful location. Within 24 hours I discovered the souks, two different tanneries, the big main square, the Majorelle gardens, passed by the Koutoubia mosque and the beautiful Ben Youssef mosque (as non-muslims aren’t allowed inside the building… you just admire them from the outside), spent sometime near the pool of my beautiful riad. I spent money on ceramics and spices and bought myself a second-hand tajine. That’s mostly all you can do in the city center of Marrakech, the old-town of Medina. Eat, sleep, spend money, drink tea, spend money, and got to bed. Photos aren’t appreciated. Too many locals will begg for money or ripp you off when handing you back the change. I really don’t see how visitor could love this place. From 6 nights to 1 night. During my 2 days I spent in Marrakech I was so annoyed by all the local moroccans who were trying to steal my money at every occasion. As I was using my iphone (with a moroccan sim-card) with google-maps to find my way hrough the maze of Medina, I got asked too many times “hey can I help you? are you going to the grande place?”. I gently declined and told them that I was following my GPS. A common thing was that the guy was trying to keep the conversation going on with random small-talk. “Oh it’s this way”… I gently refused his help and replied that I got my gps and wouldn’t need any further assistance. However he still felt the urge to follow me. Approximately after a 100 meters, they asked for a tip “I showed you the directions you were asking for…be a gentleman..and show me some gratitude”. Of course I wouldn’t give them a cent. This happened to me at least 5 times within 24 hours. And obviously the conversation always ended with harsh arabic words I wouldn’t understand, high probably funny insults. At night, at the crazy busy “Jemaa el-Fnaa” square, where you would find endless amounts of locals dishes, the food vendors would grab you by your jacket and pull you into their restaurant. If you pushed them back, they follow you and kept asking you for your favorite food. As I was soooooo annoyed and felt more than a victim than a visitor I decided to book a flight home on my second day. I was really looking forward to discover the sand-dunes of the sahara desert, a very popular tour which was organised by my hostel. However I could imagine that these kinds of hassles would go on these upcoming days, as the desert-tour would stop at major touristic spots, so I decided to fly back home. I’ve been to many places all over the world. India and Morocco were definitely the worst destinations where locals would do anything to make it to your wallet. At least in Delhi, there so much to discover, huge amounts of temples, hundreds of parks, statues, markets, fountains and lakes. 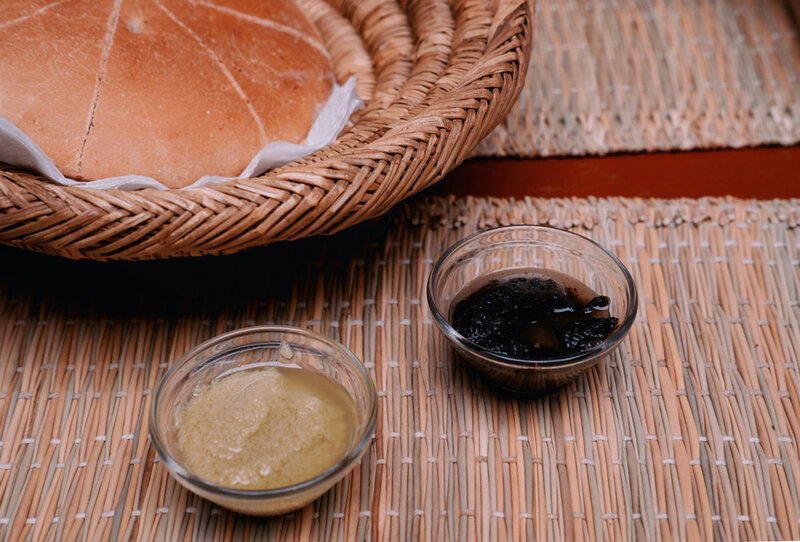 Things I really missed in Marrakech. Maybe I was just unlucky and had the worst experience someone could have in Marrakech. All I can tell, I would never ever turn back to Marrakech.